As bizarre as it may sound, it turns out that being well-educated and financially sound works against women in countries like India and China. It seems to have become a mammoth task for urban, well-qualified and highly paid Chinese women to find suitable life partners. According to official statistics, one third of such women in their late 20s and 30s in China are single and actively looking for potential mates. There is a special term, “shengnu”, coined for such women. In China and India alike, there is a cultural preference for the man to be above his wife in terms of age, height, income and education, besides other things. On a scale of A to D, where A is the highest socioeconomic ranking and D is the lowest, Class A men want to marry Class B women, Class B men want to marry Class C women and so on. And it turns out that it becomes increasingly difficult for Class A women to find a suitable mate. Of course, Class D men also share the same plight. The only option left is for these residual classes to inter marry, which seems next to impossible due to cultural and social biases. A woman earning more than her man and bringing food to the table is considered ‘oh so demeaning’ for the quintessential male ego. Of course, another fact remains that Class A women themselves want to marry someone who matches up to them in most aspects, if not all. Traditional gender roles are so deep rooted in the social fabric of these countries that men still can’t tolerate women “wearing the pants” in a relationship. If a woman turns out to be “more capable” than her husband, she is expected to forgo her work and aspirations for the sake of her husband’s ego and domestic prosperity. 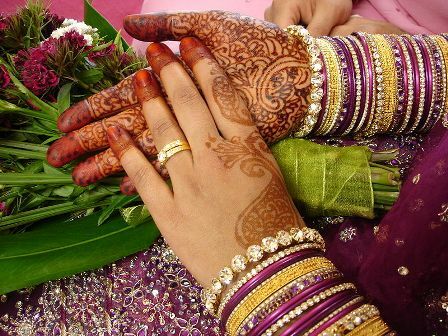 Young Indian girls grow up learning and believing that they should never supersede their husbands, and if need be, they should step down in order to allow their spouse to take charge. I know of a couple where the husband is retired and not earning, while the wife is doing a job and running the household. Yet she, like a “dutiful wife”, deposits her salary into her husband’s account every month and lets him pay all the bills so as to not hurt his male ego, and to keep his social grace and dignity intact. If you come to think of it, it is rather very generous of the wife (she obviously adores and respects her husband). But she also does it to conform to the social norms and family expectations. Working mothers and stay-at-home fathers (a concept very common to the Western world) is something that we cannot possibly comprehend and adopt in a long time to come. In urban India and China, where gender roles are gradually diluting, and women and men are working on par in most sectors, why on earth are our societies so regressive and rigid? Why do they vehemently refuse to acclimatise to changing times? Why are women of all classes and backgrounds still expected to be subservient to their husbands? I am not suggesting gender role reversal here, but just a healthy relationship of mutually shared responsibilities where both men and women contribute equally to the family income as well as domestic/household chores. This article first appeared on Mallika’s blog. This entry was posted in Opinion, World and tagged gender equality, india, women. Bookmark the permalink.